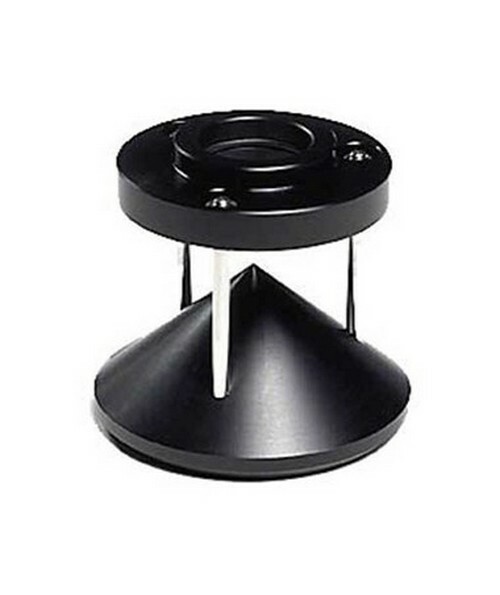 The 360-Degree Adapter for Haglof Instruments works in combination with the T3 Transponder and the Plot Centre Staff or monopod to take measurements in a complete circle. This adapter is attached to the top of the monopod and the T3 Transponder joins on top of it. It then spreads the ultrasound signal 360 degrees for a complete circular measurement. This Haglof accessory is perfect for Haglof laser distance meters, range finders and calipers. It is compatible with the DME, Vertex, Xscape and VL5.